DeMaagd’s formative career was in geology and minerals. He attended California State University, Chico, and graduated in 1993 with a bachelor’s of science in geology. Previously, he was a firefighter in California for five seasons. He aimed high and landed in the forest service, where he took his first developmental position — a temporary one at the Shasta-Trinity National Forest. Three years later, he was permanent. Later, he became a certified mineral examiner, and his focus stayed on geology and minerals until 2008. In 2015, he accepted a leadership position as the deputy forest supervisor in Mt. Hood National Forest or Region 6, which comprises Oregon and Washington. “They consider it the alter ego of the forest supervisor,” Demaagd said. “Some forests have a forest supervisor and a deputy, and some just have a forest supervisor, such as this one,” he said, referencing Sawtooth National Forest, where he currently holds the title. But DeMaagd’s route to the intermountain region was a bit of a circuitous one having lived in both California and Oregon previously. DeMaagd is no stranger to relocating. “For many in the forest service, it’s a lifestyle,” he said. “You pick up and move.” His wife of two decades, Billie Jo, is a budget analyst with the Bureau of Reclamation. Her job is virtual, which makes this lifestyle possible. “It makes it easier to move around,” he said. The couple do not have children, but they cherish their two Australian shepherds. Coasters with photos of the canines decorate DeMaagd’s desk at the Jerome office. “One of the reasons we bought our house here is because it had a fence for the dogs,” he said. But DeMaagd didn’t know he would be relocating again when he was hired on as a acting forest supervisor on Sept. 1 to replace Kit Mullen, who retired at the end of August after four years at her post. Now responsible for Sawtooth National Forest’s 2.1 million acres, DeMaagd says that’s nearly twice the size of what he supervised in Oregon. Despite the sizable geographical difference, the issues are similar. “This is a different dynamic with the same concerns, maybe just not as many,” he said. As a multiple use agency, there are a lot of moving parts. One ongoing effort at the center is working to improve forest health, which involves creating more fuel wood, and removing dead lodgepole pine, a current focus of the timber program. “It’s the process of making the forest more resilient, not unlike any other forest,” he said. But the Sawtooth comes with a vast array of programs, DeMaagd explained from a long range program with range allotments to a locatable and common variety minerals program — one of the larger ones nationally — according to DeMaagd, and a complex fire program, which houses a 20-person Type 1 hotshot handcrew in the building. “The fascinating part of the Sawtooth is the diversity of the programs,” he said. DeMaagd hopes to maintain community engagement as a key priority, and welcomes both support and concerns, especially during NEPA (National Environmental Policy Act) scoping and objection periods, which happen approximately 10 times per year with open dates published in the paper. “They (the public) has to be part of the process or we can’t be successful,” he said. DeMaagd looks forward to getting settled in so he can take up his side hobbies again — hunting, building cars and leatherwork. “One day I was curious how to make a saddle, so I started looking at one,” he said,” and the next day I built one.” DeMaagd gives his saddles to relatives, including his in-laws in Oregon who are ranchers, and sells them to people he knows. The Sawtooth National Forest was established in 1905. Its land stretches from south-central Idaho into northern Utah. Visit its website to learn more at fs.usda.gov/main/sawtooth/home. BOISE — Members of the Idaho House of Representatives took time Monday to remember former lawmakers who passed away this year, but one late Magic Valley legislator was not included in the ceremony. Rep. Donna Scott, a Republican from Twin Falls, died on Feb. 9, too recently for lawmakers to prepare for Monday’s memorial. She will be honored next year instead. In the meantime, Donna’s friends and colleagues remember her as a committed public servant who dedicated much of her life to enriching her Magic Valley home. 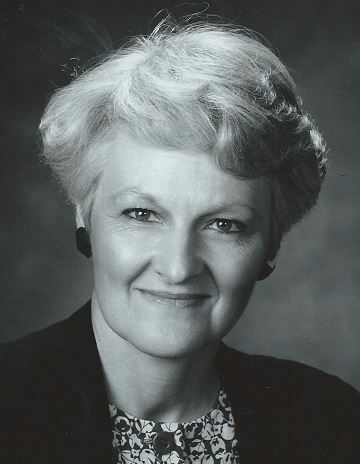 Scott was elected to the House of Representatives to represent District 23 in 1982, making her one of the first women from south-central Idaho to be elected to the Legislature. During her time in office, she served as a member of the powerful Joint Finance-Appropriations Committee. A Times-News editorial from 1986 described Scott as a “hard worker,” while a letter to the editor from the same year supporting Scott’s candidacy praised her as being “respected and admired on both sides of the aisle for her tireless dedication” in the statehouse. After serving two terms in the Legislature, Scott lost the Republican primary election in 1986 against Ron Black, a day care operator from Twin Falls. In 1984, Scott was appointed by President Ronald Reagan as Idaho’s Commissioner for the Presidential Commission of Scholars. Other contributions to her Magic Valley home included penning the Twin Falls centennial song “Just Add Water,” which beat out other entries in a 2002 contest to win the official designation. TWIN FALLS — D.L. Evans Bank has announced its 2018 Employee Service Award recipients. Each recipient exemplifies the standards of integrity, loyalty, hard work, teamwork and dedication to customer service. Johnny Hagenbuch of Ketchum carved out a piece of American skiing history last month at the cross country Junior World Ski Championships in Finland. Hagenbuch skied the third leg of the 4x5-kilometer relay for the U.S. under-20 team, exiting the course with the Americans in a tight race for gold. He watched as teammate Gus Schumacher crossed the finish line nearly 4 seconds ahead of the competition — securing the historic first Junior World gold medal in cross country skiing for the U.S. men. “That was a profoundly emotional moment,” Hagenbuch said. Hagenbuch, 17, is a junior at the Sun Valley Community School and a member of the Sun Valley Ski Education Foundation team. He grew up in Ketchum and began Nordic skiing about six years ago as a recreational activity with his parents. JEROME — Bobbi Justice, Lisa Henderson and Jose Chicas-Marquez are the Jerome School District’s “Excellence in Education” award recipients for January. “Lisa Henderson is an amazing teacher! When I first moved to Jerome, one of my children had her as a teacher. No matter what conversation we had whether it was at parent teacher conference or just a phone call home to discuss how my child was doing she was always professional. I always felt that she had the best interest of my child in mind. I have found this to be the case working her with on a professional level as well. Lisa is very conscientious of what her students need. She has an especially difficult group of students this year and she is always talking to others and doing research outside of school hours to find strategies and new ways to try and connect with the students. She has been working on teaching her students about having a growth mindset. To that end she wrote a grant to get money so that she could buy books that specifically target behaviors and thought processes that children might have. She was awarded the grant and will share the books with others in the school that want to use them. TWIN FALLS — Zions Bank has hired Shane Hamblin, Scott Bame and Jeffrie Mason for its Twin Falls Canyon Park branch, 1863 Blue Lakes Blvd. N.
Hamblin joins Zions Bank as a commercial banking relationship manager, responsible for developing and maintaining banking relationships with business and agricultural clients. He grew up in the Magic Valley and has more than 16 years of experience in the banking industry, working primarily with commercial and agriculture clients. Hamblin holds a bachelor’s degree in finance from Idaho State University and speaks Italian and Spanish. Bame has been hired as a commercial banking relationship manager also, after a decade with U.S. Bank. He earned a bachelor’s degree in business from Western Governors University and an Master of Business Administration from Idaho State University. Mason joins the team as an assistant relationship officer and has 16 years of experience in the financial industry. He earned associate degrees in business and Spanish from the College of Southern Idaho and a bachelor’s degree in accounting from Boise State University. TWIN FALLS — Jason Vickrey and Jessica Meade have been promoted to new positions at TitleOne. Vickrey has been with TitleOne for four years and has been promoted to president of the company. He has previous experience in fundraising and lending. Vickrey is currently a Boys and Girls Club board member, co-chair for the Boys and Girls Club auction and chair for the Magic Valley Charity Golf Classic. He is a recent Idaho Business Review’s Accomplished Under 40 recipient. Jessica Meade has been promoted to vice president central Idaho. She has 15 years of banking and lending experience. Meade attended Baker College in Michigan. She was a past president for Paint Magic and currently serves on the board for the Twin Falls School District Education Foundation. TWIN FALLS — Three years ago, Barb Denney created Canyon Ridge High School’s college and career center from the ground up. Denney — the school’s college and career adviser — helps students navigate the complex world of college applications, financial aid and career options. Canyon Ridge, which has more than 1,200 students, is home to the Twin Falls School District’s high school refugee and English language learner students. Many are the first generation in their family to pursue education beyond high school. Denney’s efforts haven’t gone unnoticed. She was recently named Idaho’s “K-12 Champion” by the Idaho ACT Council for her work promoting college and career readiness. Idaho ACT Council — affiliated with the national nonprofit best known as the provider of the ACT college entrance exam — is a group of educators and industry representatives. Denney’s award was one of four the council gave out this year, including student awards. Denney was hired in 2016 for the brand new college and career adviser job, funded by the state. She transformed an old English as a second language classroom to create a college and career center. Denney is Canyon Ridge’s coordinator for PSAT, SAT and ACT college entrance exams. She compiles a quarterly newsletter with scholarship opportunities for students, takes students on tours of college campuses, coordinates monthly career presenters, plans FAFSA (Free Application for Federal Student Aid) nights, provides a cost of attendance sheet where students can make financial comparisons between schools and is in charge of the school’s College Application Week. This school year, Canyon Ridge created a second college and career adviser position. “I do a lot of individual work with students on college applications and the FAFSA, so that second position was really needed,” Denney said. Canyon Ridge senior Rachel Fields, 18, has sought help from Denney with finding ways to pay for college. “I kind of took a lot of initiative to look into schools myself, but she’s been really helpful with finding financial aid,” she said. Fields and her mother toured college campuses during her sophomore year. She wants to study environmental engineering. Fields applied to Cal Poly, San Luis Obispo in California; Gonzaga University in Spokane, Wash.; University of Portland; University of Idaho; University of Notre Dame in Indiana; and Purdue University in Indiana. She has been accepted to some and is waiting to hear back from others. The Twin Falls School District is limited in how many school counselors it can have, spokeswoman Eva Craner said, and they serve a lot of students. Having advisers who can hone in on helping students prepare for college and careers is important, she said. Without the college and career advisers, counselors wouldn’t be able to give students the level of help they’re receiving, Nelson said. Canyon Ridge used to have a federal GEAR UP (Gaining Early Awareness and Readiness for Undergraduate Programs) grant, but the school no longer has that program since it followed a specific cohort of students up to graduation. But the school does have a representative from the federally-funded TRIO program on campus two days a week and a coordinator from the College of Southern Idaho early college program three days a week. “They’re a good support for our students, also,” Denney said. Statewide, there’s a push for more students to go to college. The state’s “Complete College Idaho” plan aims for 60 percent of 25- to 34-year-olds to have a post-secondary degree or certificate by 2020 in order to help meet workforce needs. There’s also a push to improve Idaho’s “go on” rate. About half of Idaho’s high school seniors pursue higher education — such as college or workforce training — within a year after graduating. MOSCOW — Former state Rep. Maxine Bell is the first non-professor to receive an award for advancing research at Idaho universities. The Jean’ne M. Shreeve Research Excellence Award has been given since 2011 by the Idaho Established Program to Stimulate Competitive Research to recognizes the accomplishments of professors at Idaho universities. This is the first time since it was established in 2011 that an honorary reward has gone to a non-faculty member. It recognizes Bell’s long-standing support for high-quality scientific research at Idaho’s universities and her extraordinary leadership at the state level, officials said. The award was inspired by University of Idaho Distinguished Professor Jean’ne M. Shreeve and highlights the value of the competitive research program to the state as well as the individual accomplishments of the recipient. Bell, of Jerome, retired in December after more than 30 years at the statehouse. She also worked on the family row crop farm southeast of Jerome until 1997, when she and her husband retired from the day-to-day operation of the farm. She was appointed by the State Board of Education to the Idaho EPSCoR Committee in 2001 and has been an active member ever since. Since Bell’s appointment to the EPSCoR Committee, research and development expenditures from all sources at Idaho’s universities and colleges have nearly doubled — from $82.5 million to $155 million in 2016. Also during this period, Idaho’s share of National Science Foundation research funding tripled. These investments in academic research have addressed water and natural resources issues, biomedical science needs and other topics of importance to Idaho, as well as educated and trained hundreds of scientists. News Bite: Who’s coming and going at Kimberly and Gooding schools? KIMBERLY — The Kimberly and Gooding school boards signed off last week on employee hires and resignations. TWIN FALLS — The Southern Idaho Association of Health Underwriters, an organization of health insurance agents, brokers and professionals, recently installed its 2018-2019 board. Colby Fiala was installed as SIAHU president. She has been in the insurance industry since 2002. Fiala is one of the partners at Magic Valley Insurance. She is a member of the National Health Underwriters Association and has served in many roles for both the Idaho state chapter and southern Idaho local health underwriters. Fiala currently resides in Filer. “Local agents and brokers serve as a source of truth about healthcare coverage that links the needs of citizens, business and policymakers to create a healthy more fiscally responsible American healthcare system,” Fiala said in a statement. For more information, go to nahu.org. News Bite: Who’s coming and going at Twin Falls schools? TWIN FALLS — Fewer people are resigning this time of year from the Twin Falls School District, but some are planning for retirement next school year. TWIN FALLS — Alisa Radmall, Amber Bryan, Renay Skov and Becca Austin are the Twin Falls School District’s December employees of the month. SPOKANE — Northwest Farm Credit Services has promoted Matt Bruning to senior vice-president of southern Idaho, based in the company’s Twin Falls branch. Bruning was most recently vice president of credit for Idaho. He has also served as assistant vice president of customer solutions for Idaho and had held relationship manager and senior credit officer positions in Twin Falls. Bruning holds a Bachelor of Science degree in finance and business management from Idaho State University. Riley Griffin was promoted to vice president of credit, based in the company’s Burley branch. He was most recently relationship manager/VP. Griffin joined NFCS in May 2011 as credit officer trainee and was named relationship manager in November 2011. He earned a Master of Business Administration from the University of South Dakota and holds bachelor degrees in economics and mathematics from Brigham Young University. TWIN FALLS — D.L. Evans Bank has appointed two new personal bankers at two different branches of the bank. Mario Bacilio has taken the position in the downtown Twin Falls branch. He is currently attending the College of Southern Idaho. Bacilio invites his customers, friends and family to visit him at the bank, 222 Main Ave. S. He can be reached by calling 208-736-7300. LiAnna Good has been promoted in the south Burley branch. She has been with the bank since 2016. In her position as personal banker, she will help customers with auto loans, home equity lines of credit, credit cards, new accounts or any other personal banking needs. Good volunteers for Relay For Life, highway clean-up and assisting with local parades. She invites her customers, friends and family to visit her at the bank, 2281 Overland Ave. She can be reached by calling 208-678-6000. Ty Osterhout with First Federal Savings Bank's Overland Branch was awarded the 2018 Affiliate of the Year from the Mini Cassia Realtors. Sharon Hobbs with Carey & Adams Realtors was awarded the 2018 Lifetime Achievement Award from Mini-Cassia Realtors Association's first vice president Alyssa Terry. HEYBURN — The Mini-Cassia Chamber of Commerce has announced the hiring of Member Services Coordinator Laurina Gause. Gause was born and raised in Cartagena, Columbia, and has a love for cooking, painting with acrylics, and all things craft related. She moved to Idaho with her husband, Patrick, in February 2018. Gause discovered her love for the work chambers of commerce do in communities when she worked in a similar position in her hometown Chamber after graduating college. She brings with her extensive experience and passion in sales and marketing. TWIN FALLS — With two days left in his term, Terry Kramer’s office is almost entirely packed up. Gone are the knife collection, the floral print couch and the buffalo hide that once surrounded his desk. And after 12 years, it’s a strange feeling. When Kramer leaves on Friday afternoon, he plans to head out of state for a few weeks. The office will be taken over by commissioner-elect Brent Reinke come Monday, but the presence of Kramer’s legacy will be felt for years to come. On Wednesday, he was honored at a retirement party by state and local officials, county employees and friends. Many spoke about Kramer’s commitment to county government, emergency services and employee compensation throughout the years. Kramer has served on the Twin Falls County Commission since 2007, but he’s continued to live and farm in his hometown of Castleford. And he imagines he’ll continue farming grain, corn and hay for the rest of his life. At 65 years old, he has no plans to run for public office again. “I just don’t think that I could improve on what I’ve already done,” he said. Kramer has taken the election loss the best of any official Grant Loebs has known, the county prosecutor told a roomful of people on Wednesday. But Kramer stuck through to the very end, and even reached out to Reinke and invited him to meetings. “The two of them sat there like they were best friends,” Loebs said. Despite the emotional toll the loss took on Kramer, he chose to move on. As each person spoke a few words, Kramer, in turn, spoke highly of him or her. Still, he agreed that he’s leaving the county better than he found it. Kramer says he’s proud of several things he’s done in his time as county commissioner, but the first of those is helping to develop a long-range plan for the county. “We’ve remodeled virtually every building,” he said. He helped develop the County West building into a “one-stop shop” for services, bringing complimentary services such as the VFW, veterans services, Interlink Volunteer Caregivers and Safe House under the same roof. “I was sort of the real estate guy for the last 10 years,” Kramer said. And he feels the county — with the exception of the jail and courts — is well prepared for spacing needs over the next 50 years. Next, Kramer is proud of the programming he’s helped establish over 12 years: specialty courts, treatment and recovery programs and the pest abatement district. Lastly, he is proud of the progress Twin Falls County has made with personnel. Employee turnover was around 35 percent and the county did not offer competitive benefits, he said. Kramer ran a decade-long campaign to get county employees into the Public Employee Retirement System of Idaho. He helped to raise wages and reduce turnover to around 12 percent. Those efforts didn’t go unnoticed during the retirement ceremony. Still, others recognized him for other work he’s done: helping set up and work in quick-response units, repairing the county’s roads after a harsh winter and fostering collaboration with cities and nonprofits. “He helped make county government better in this state,” said Dan Chadwick, former executive director of the Idaho Association of Counties. Sheriff Tom Carter said Kramer is “a friend to law enforcement.” And ongoing commissioners Don Hall and Jack Johnson said they will miss his diverse knowledge and experience. To Kramer, it’s a good time to break away. “I’m leaving the county in an excellent position financially, facility-wise, program-wise,” Kramer said. And it doesn’t end with him, he said. The next commission is well suited to take the reins and move forward on addressing capacity issues in the courts and the jail. “They don’t have the history I have, but I don’t have the vision they have,” he said. Kramer’s advice to new commissioners? JEROME — Diana Wright, Eric Hopkins and Yolanda Vergara are the Jerome School District’s “Excellence in Education” award recipients for December. News Bite: Who’s coming and going at Jerome, Kimberly, Filer and Buhl schools? BURLEY — Cassia County School District employees were named the top counselor and vice principal by state professional organizations. Burley High School Vice Principal Andrew Wray was named the 2019 Assistant Principal of the Year award by the Idaho Association of School Administrators, according to a district press release. Wray has been assistant principal for seven years, with five of those years spent at Burley High. He puts his energy and innovation toward increasing student attendance, improving teacher recruitment and working to secure resources for improvements and expansion at the school, according to the association’s website. He has also held leadership roles as director of Idaho Association of Student Councils, school evaluator for Northwest Accreditation, unit leader for the Boy Scouts and a board member of Cassia Regional Hospital. Rachel Jensen, counselor at Raft River Elementary School, was named 2019 Idaho School Counselor of the Year by the Idaho School Counselor Association. The program honors professionals who devote their careers to serving as advocates for students and to helping the students achieve success in life and school, according to the association website. The honorees were selected based on criteria that include effective school counseling programs, school counseling innovations, advocacy and leadership skill and contributions toward student advancement. OAKLEY — Selected from thousands of entries nationwide, Oakley High School has been named the Idaho state winner in the Samsung Solve for Tomorrow Contest for its proposed plan to mitigate e-cigarette and vaping use. In addressing the problem of vaping, Oakley high school students being instructed by teacher Lisa Hitt proposed a 3D working model of a lung that students can actually breathe into and experience what it feels like to have various lung diseases. Students said if students can have a hands-on experience, it will make much more of an impact towards preventing e-cigarette use in the community. Oakley High School is among the nation’s 50 state winners (representing all 50 states) and will receive $20,000 in technology for its achievement. The school will also receive a Samsung video kit to create and submit a three-minute video that showcases their project development and how it addresses the issue, in the quest to advance to the next phase of the contest and win additional prizes and educational opportunities. Three national winners will be selected as being eligible for the grand prize, and each will receive a $100,000 Samsung technology package. OAKLEY — An Oakley teacher was named the state winner in a Samsung Solve for Tomorrow contest. Lisa Hitt, a math teacher at Oakley High School, has been named the Idaho state winner in the contest for her proposed plan to mitigate e-cigarette and vaping use. She was selected as a state winner in a similar contest several weeks ago hosted by Samsung Solve for Tomorrow for a project she submitted that used her Algebra II students to address Oakley Dam flood prevention and preparation, Hitt said in a previous interview with the Times-News. The Samsung Solve for Tomorrow Contest encourages teachers and students to solve real-world issues in their community using classroom skills in science, technology, engineering and math (STEM), according to a press release. In addressing the problem of vaping, Oakley high school students instructed by Hitt proposed a 3D working model of a lung that students can actually breathe into and experience what it feels like to have various lung diseases. Students said if students can have a hands-on experience, it will make much more of an impact towards preventing e-cigarette use in the community. Ten national finalists will be selected to attend a Pitch Event in the spring where they will present their project to a panel of judges. For achieving national finalist status, seven schools will receive a $50,000 Samsung technology package. The other three will progress to the national winner stage. TWIN FALLS — A former Twin Falls County prosecuting attorney will fill a vacant judgeship in the Fifth Judicial District, Gov. C.L. “Butch” Otter announced Jan. 3. Twin Falls County Chief Civil Deputy Prosecutor Rosemary Emory has been named to succeed retiring Judge John K. Butler in the Twin Falls-based district. Butler will step down in March after 15 years on the bench. Emory has been a prosecutor in Twin Falls County since 2010. Before working in the prosecutor’s office for 13 years, she worked three years as a deputy attorney general in the Idaho Attorney General’s Office. In that position, Emory litigated Medicaid fraud cases. She also served briefly as a tribal public defender for the Coeur d’Alene Tribe. Emory has a bachelor’s of science in finance and a juris doctor degree from the University of Idaho. She has one school-aged child. Otter has appointed 55 judges within his tenure as governor. Emory was one of seven candidates who put their hats into the ring for the judgeship, the Times-News previously reported. The other applicants were: Civil attorney David Gadd, public defense attorney Samuel Beus, Magistrate Judge Roger Harris, Magistrate Judge Thomas Kershaw, Magistrate Judge Calvin Campbell and private attorney Tyler Rands. “I am confident Judge Emory will continue in the best traditions of the men and women appointed to the 5th Judicial District,” Otter said. TWIN FALLS — The Twin Falls Police Department and City Council are kicking off the New Year with the formal swearing-in of five new officers. The city on Wednesday will recognized the new officers who will be attending the Idaho Peace Officer Standards and Training Basic Patrol Academy, Session No. 194, beginning Monday. Additionally, the police department will formally recognize four employees who have been promoted to corporal through a competitive process. was hired as a full-time police officer Oct. 28. He was born in Hanover, Germany, and immigrated from Bosnia and Herzegovina to Boise in 1998. He previously worked in maximum security at the Idaho Department of Corrections. was hired as a full-time police officer Nov. 13. He is a Twin Falls native and graduate of Canyon Ridge High School. Cunningham served in the U.S. Marine Corps between 2014 and 2018 and is pursuing a bachelor’s of science in psychology. was hired as a full-time police officer Oct. 29. He was born in Twin Falls and grew up in Meridian. Lee has an associate degree in liberal arts and is working on a bachelor’s degree in criminal justice. was hired as a full-time police officer Oct. 29. He was born in Twin Falls and graduated from Jerome High School. He previously worked as a physical therapy aide. was hired Oct. 29 as a full-time officer. He was born in California and graduated from high school in Hawaii. He spent four years in the Marine Corps in Twentynine Palms, Calif. Before coming to the Twin Falls Police Department, he owned a fugitive recovery business in Colorado Springs, Colo.
has been with the Twin Falls Police Department since 2009, serving as a patrol officer, field training officer and bomb squad technician assistant. He received his POST intermediate certification in 2013 and his advanced certification in 2017.
has been with the Twin Falls Police Department since 2002, when he joined the department’s Explorer Program. He was hired as a full-time officer in 2008, left the department in 2015 and returned the following year. He has been a patrol officer, field training officer and school resource officer. Gassert is a POST-certified instructor and teaches law enforcement at the College of Southern Idaho. He received his POST intermediate certification in 2014.
joined the Twin Falls Police Department as a communications specialist in April 2010. He was hired as a full-time police officer later that year. He previously served in the U.S. Marine Corps from 2005 to 2009 and attained the rank of sergeant. With the Twin Falls Police Department, he has been a patrol officer, field training officer, school resource officer and a member of the Special Weapons and Tactics team. He graduated from POST Basic Academy and received his POST intermediate certification in 2017.
started his career with the Twin Falls Police Department in 1998 as a full-time officer. He had attended POST Basic Academy in 1997. Weigt has been a patrol officer, field training officer, SWAT team member, firearms instructor, GLOCK armorer, traffic and motor officer and school resource officer. He received his POST intermediate certification in 2005, his advanced certification in 2017 and his master certification also in 2017. Editor's Note: This story was edited Jan. 8 with the correct spelling of Dave Weigt's last name. The Times-News regrets the error. TWIN FALLS — Most of the new school hires this time of year are coaches, paraprofessionals and child nutrition staff. TWIN FALLS — Rick Box and Danielle Ashby are the Twin Falls School District’s January employees of the month. Meet the recipients, with information below from a Monday school board packet. The school board also recognized two employees from Oregon Trail Elementary School, but their names and information weren’t included in the packet.